The first entry in the new YA scifi adventure series! 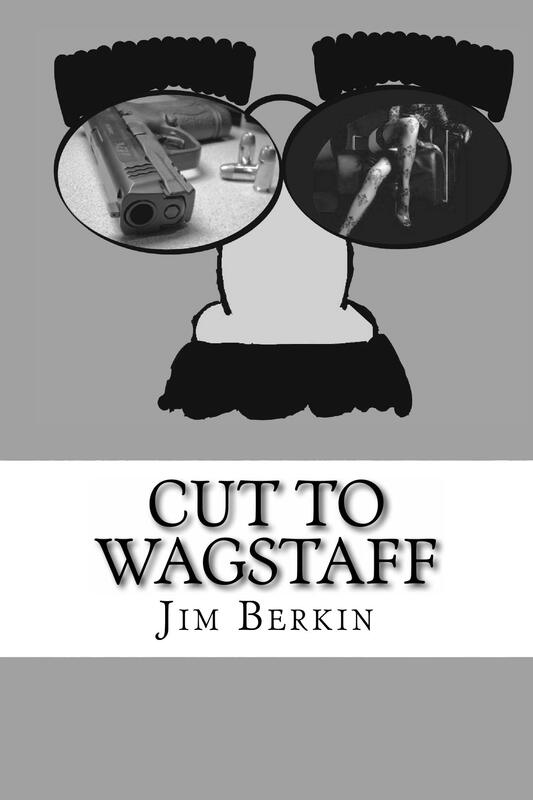 And since it’s written by yours truly, expect that special brand of Wagstaffian humor throughout! That way, kids and grownups can all enjoy it. Phigg & Clyde are sister and brother. Phigg solves every puzzle. Clyde can build and fix anything.But all of history has changed! Breakfast has turned into garbage! Can they solve the puzzle of time and fix it?It’s usually Uncle Phineas’ job to travel through history and fix the timelines – but he’s been kidnapped! Without him, Phigg & Clyde must use The Watcher to put history right again. 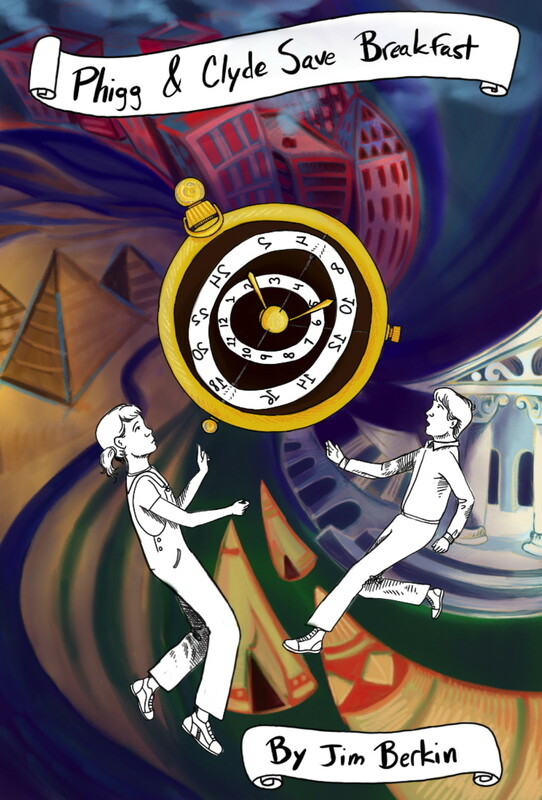 And evil forces within the timesphere have plans of their own – for all of history and especially for Phigg & Clyde…Join them as they journey across thousands of years, all around the world, saving what you love to eat! Recipes Included! Taste along! That’s right – two smart little kids must learn to be Timekeepers like their Uncle Phineas – guardians of the proper timelines of history! Evil forces have changed the course of history by destroying what we’re supposed to be having for breakfast. Only Phigg & Clyde can put things right again by saving the invention of everything from cereal to the microwave oven to dim sum as they travel all over the world all across time! Tag along with ’em to find out where everything in your kitchen came from, and pick up some recipes from foods across the world & time. With wonderful illustrations by Elinor Shapiro, who also did the cover. Get Your Copy On Amazon By Clicking Here! 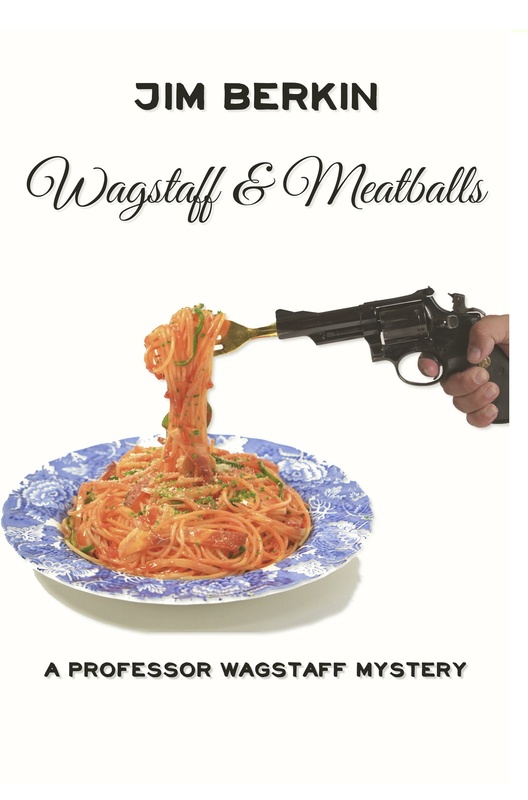 The second entry in the Professor Wagstaff mystery series! High-spirited, high-stakes mayhem fills every page; there are nonstop scrapes and chases, wise-guy jokes, and references to everything from The Gong Show to Star Trek, The Godfather, and even the 1990 film The Freshman. Berkin’s story is preposterous and his leading man improbable—but the novel’s endearing goofiness makes this a winning combination. Film buffs will love spotting the various movie references (and Wagstaff’s disquisition on Alfred Hitchcock’s Rear Window), while action fans will find plenty here to raise their heart rates. Readers shouldn’t read this book while hungry, though, as Wagstaff’s most intense nostalgia is for Rhode Island cuisine—all described in detail that will leave readers drooling. Order Your Copy From Barnes & Noble Here! “Professor Wagstaff ” – who combines James Bond & Sherlock Holmes with Groucho Marx – is the code name of a freelance intelligence agent. He’s an expert on far too many things – and an all around wisecracking nudnik. Wagstaff deciphers clues only he can see as true Jungian synchronicities. After matching them up to the endless storehouse of narratives in his overloaded brain… songs, movies, television, art…. Wagstaff follows those narratives wherever they may lead. Does it actually solve crimes and uncover hidden international conspiracies? Follow along with Wagstaff – he’ll be your irreverent guide to his mind and adventures, as this series kicks off with the first installment, Cut To Wagstaff. “Berkin pulls out all the stops; no big screen moment is lost in this tale. Order it at Barnes & Noble!